Want to support my site? Subscribe to CrosbyReport Premium. Support my work, you freeloader. Have you recently inherited a large family fortune from a relative you barely knew? Do you get paid an obscene salary to do a quasi-legal job within a faceless corporation? Or have you embezzled millions from your city’s pension fund? If you answered “yes” to any of those questions, I have news for you. And here it is. Introducing a membership level for readers with more money than sense. As a clearly superior human being in every respect, you have different needs and expectations than the typical plebeians and freeloaders who normally frequent this site. I know that wealthy people like yourself resent being treated like just any other peon instead of the elite patron of the arts that you are. 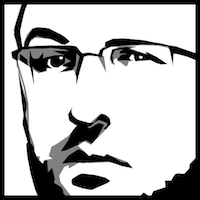 For you, Mr. and/or Mrs. Moneybags, I’ve created CrosbyReport Premium. 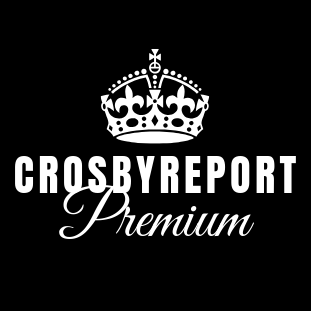 What exactly is CrosbyReport Premium? It’s an upscale membership level for my more discriminating readers. It’s also an innovative new monetization model that, if successful, will allow me to quit my day job, freeing me up to pursue my true passions: drinking while watching TV. It’s a “win-win” proposition assuming I understand that concept correctly, and it’s entirely possible that I don’t. Get exclusive benefits no other site will match, no matter how much you pay. That’s a compelling package, right? Now, you might be assuming that this level of inclusion and engagement would be priced far out of reach for commoners, that you’d need to empty your child’s college fund, or sell your body parts to afford it. Well, you may be pleasantly surprised (depending on your tax bracket). The most expensive option I’ve ever offered has never been more affordable. LIMITED TIME OFFER: Save 10% when you enable automatic renewals into perpetuity (enter the promo code “SUCKER” at checkout). The entire CrosbyReport Premium Experience—with all its many exclusive bells and whistles—costs just US$499 a year! You read that right. The whole upscale illusion, the endorphins, the high-five and shout-outs—all of it for only $499 a year. That’s less than $42 a month, or about $1.50 a day. Clearly, it’s an amazing deal for the above-mentioned extras, and one you won’t find anywhere else (go ahead and look), so subscribe now. *No relation to the ShamWow family of fine cloth products. Are you using public wifi on vacation? Get TunnelBear, a great VPN that protects five devices for only $60/yr. The Galapagos Islands: We take a vacation from Natural Selection. Napa Valley: Where classy people overpay to get plastered. Yosemite National Park, California: Nature at its most naturiest. Budapest: The place to party in the year 2896 (mark your calendar now). 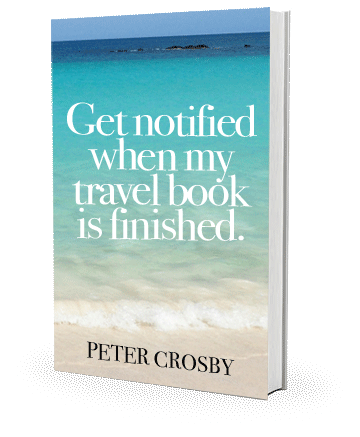 Originally intended to eliminate the arduous task of writing numerous personalized correspondences to family and friends, The CrosbyReport(tm) travel blog has blossomed into a massive black-hole of wasted time and resources, causing its author, Peter Crosby, not merely marital strife and near-crippling financial debt, but the early stages of Carpal Tunnel Syndrome as well. Enjoy!